Aside from that statement, however, Johnson indicated he did not wish to discuss the relationship between him and the team or if it can eventually be repaired. Former Lions receiver Calvin Johnson shocked the NFL when he retired following the 2015 season at the age of 30. The three-time First Team All-Pro selection announced last week that he has no intention of returning to the field, the Sporting News’ and SiriusXM’s Alex Marvez writes. During the 2017 season, there were reports of teams pursuing Johnson but he is happy to spend time with his family. If he does make a return to the game in either capacity, don’t expect it to be with the Lions. The relationship between the team and Johnson is still fractured after the team demanded $1MM be returned from a 2012 signing bonus. Johnson ultimately gave the money back but the gesture severed ties between the two parties. Though Detroit has reportedly made attempts to salvage the relationship, Johnson has denied any contact has been made. Since retiring in 2015, Johnson has served as a consultant around the league and has worked with receivers in Oakland and Miami. In nine NFL seasons, Johnson recorded 731 receptions for 11,619 yards and led the league in receiving yards in back-to-back seasons in 2011-12. 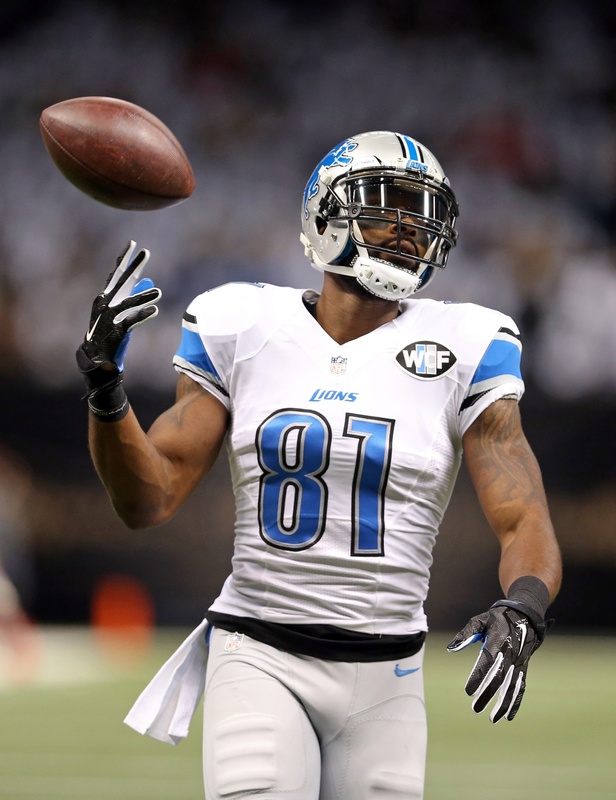 Jaguars, Eagles Interested In Calvin Johnson? As of this writing, wide receiver Calvin Johnson is still retired. But, if he decided to play again, it sounds like the Lions would be open to trading his rights between now and Tuesday’s deadline. If Megatron can be coaxed out of retirement, the Jaguars would have interest in acquiring him, ESPN.com’s Chris Mortensen (video link) hears. The “speculation” is that the Eagles would also be among those to look into acquiring Johnson. Even if Johnson does have the itch to play again, there would be a number of hurdles for all parties to work through. The wide receiver’s contract runs through 2019 and includes a cap number $21MM for this year. He’ll also have to pass a physical on the first try and that’s not a slam dunk given how long he has been away from the game. Any team getting into bed with Megatron will also want to know that he is firmly committed to playing football. He has been asked about a potential return at various points but has denied any interest. The 7-1 Eagles could use a pass catcher like Johnson, but they might want to put their resources towards acquiring a left tackle instead. The 4-3 Jaguars, meanwhile, have already taken on a sizable contract by acquiring former Bills defensive tackle Marcell Dareus. 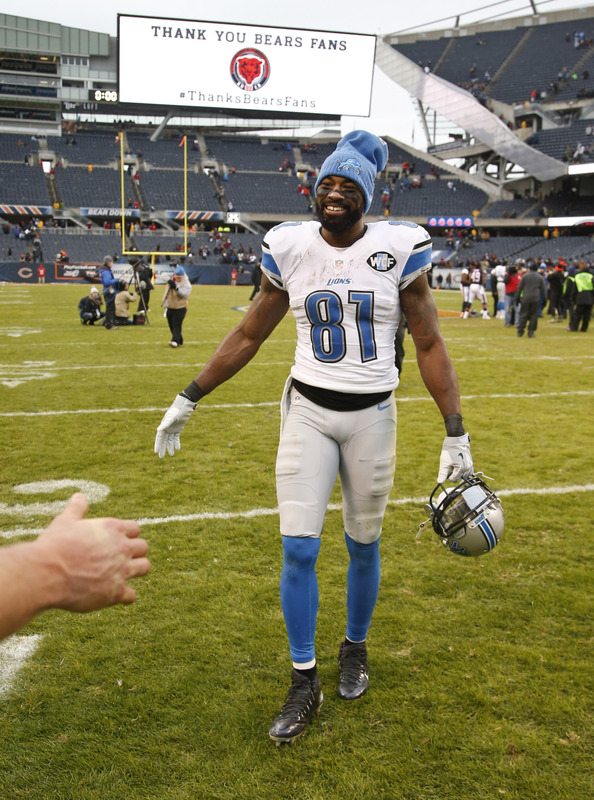 Calvin Johnson says he’s done with football, but that’s not stopping teams from going after the wide receiver. At least six teams have reached out to Megatron to gauge his interest in a return to the field, but so far Johnson has said no, sources tell Mike Freeman of Bleacher Report. Freeman’s report does not list specific teams, but one has to imagine that there’s some overlap between this list of six mystery teams and the clubs that Johnson has visited this offseason. Over the past few months, Johnson has served as a guest coach/lecturer with the Dolphins and Raiders. He has not stopped in to see the Lions, however. If Johnson has a change of heart and decides to return, any team looking to sign him will have to go through the Lions since they still hold his rights. Still, we know that it’s not an impossible hurdle since the Raiders were able to work out a trade with the Seahawks for the previously retired Marshawn Lynch. In 2015, his last season on the field, Johnson had 88 catches for 1,214 yards and nine touchdowns. His performance earned him his sixth consecutive Pro Bowl nod. Megatron will celebrate his 32nd birthday in September. As Mike Florio of Pro Football Talk details, the Lions and new general manager Bob Quinn may have misled Johnson into thinking he’d be forced to stick with Detroit in 2016. While Johnson says the Lions wouldn’t have released him from his contract, Detroit almost surely would have had to make some sort of adjustment to Johnson’s cap charge, which would have totaled $24MM. By convincing him to retire, the Lions saved more than $11MM on its 2016 salary cap. Hue Jackson is expected to receive a long leash as head coach of the Browns, and likely won’t be fired even if the club struggles again in 2017, writes Mary Kay Cabot of Cleveland.com. As I wrote in today’s review of the Browns’ offseason, Cleveland is in the midst of a full-scale rebuild, and the team’s ownership and front office is aware that Jackson isn’t leading a top-notch roster. As Cabot notes, the Browns will likely be starting rookie quarterback DeShone Kizer for the majority of the season, so growing pains are to be expected. While improvement over last year’s 1-15 mark is to be expected, Jackson won’t be blamed if Cleveland doesn’t come near playoff contention. Before opting to sign with the Ravens this spring, safety Tony Jefferson used a creative method to determine if he’d fit with Baltimore’s roster. “I had to personally go on NFL Game Pass and watch tape and film before I made a decision,” said Jefferson, per Max Mayer of NFL.com. “I felt like this defense fits me. I feel like this style fits me. I love to hit, and do that type of stuff. And I think that’s the culture, and that’s what I want to be a part of.” Jefferson left Arizona to ink a four-year, $34MM deal with the Ravens, where he’ll team with fellow defensive back Eric Weddle. In case you missed it, PFR’s Zach Links examined the possibility of a deal between the Steelers and franchise-tagged running back Le’Veon Bell. If the two side don’t reach an extension by July 17, Bell will play out the season on a fully guaranteed one-year pact worth $12MM+. The Jets moved on from linebacker David Harris and wide receiver Eric Decker solely for financial reasons, reports Manish Mehta of the New York Daily News. Jets owner Woody Johnson, realizing that the team wasn’t going to compete this year even with Harris and Decker, decided it would make more sense to save $13.75MM than spend it on the two veterans. Committing to a rebuild is a commendable approach, writes Mehta, though he questions the way the Jets handled the Harris situation. Jets bigwigs assured Harris back in March that he’d return to the team for an 11th year, but they then approached him about a pay cut 72 hours before releasing him, per Mehta. Johnson’s desire to save money drove that decision, and Harris is now looking for work at a time when free agency has died down. Harris’ agents complained Tuesday that the Jets didn’t just release the defender over the winter, as doing so probably would’ve led to a stronger market for his services. As for two of Johnson’s highest-ranking employees, general manager Mike Maccagnan and head coach Todd Bowles, they should be in line to return in 2018 if the rebuilding club’s young players progress this year, writes Mehta. But Brian Costello of the New York Post passes along somewhat different information, relaying that Maccagnan will probably stay on but that “Bowles is viewed as a goner by nearly everyone.” Talent-wise, the deck is stacked against Bowles as he enters his third season with the Jets and the penultimate year of his contract. “They have the worst roster in the league and it’s not close,” one executive told Costello. Harris’ release added another hole to the roster, and his exit hit Bowles “hard,” according to Costello. With one report suggesting that Giants receiver Odell Beckham Jr. hasn’t attended OTAs because he wants a raise, Mike Florio of Pro Football Talk contends that it would likely take a multiyear deal with at least $30MM guaranteed to lock him up. Meanwhile, Steve Serby of the New York Post proposes a six-year, $103.5MM contract – including $47.5MM guaranteed – that would make Beckham the game’s highest-paid wideout. Contrary to a prior report, Calvin Johnson did not repay the Lions $320K of his $3.2MM signing bonus when he retired in March 2016. The former receiver actually forked over a much larger sum, at least $1MM, according to Carlos Monarrez of the Detroit Free Press. Former Lions wide receiver Calvin Johnson has been observing Raiders practices this week as a guest of offensive coordinator Todd Downing, per Eddie Paskal of Raiders.com. Downing was on Detroit’s staff from 2009-13 – a large portion of Johnson’s career – and while it’s fun to imagine Megatron coming out of retirement to join the Raiders’ high-octane attack, there’s no indication he has any interest in doing so. Johnson may not be coming out of retirement, but former NFL quarterback Vince Young is returning to the gridiron. Young, who retired in 2014, signed Thursday with the Saskatchewan Roughriders of the Canadian Football League, agent Leigh Steinberg announced (Twitter link). The 34-year-old Young, a former superstar at the University of Texas and the 2006 Offensive Rookie of the Year with the Titans, hasn’t attempted a regular-season pass in the professional ranks since he was a member of the Eagles in 2011. An openly gay player has never played a regular-season NFL game, and it’s likely to stay that way for the foreseeable future, former Eagles/Browns executive and current ESPN analyst Joe Banner told SiriusXM NFL Radio earlier this week (via Sporting News’ Alex Marvez). Former Missouri defensive end Michael Sam is the only openly gay player ever drafted, having gone in the seventh round in 2014, but he encountered a media firestorm during his stints with the Rams and the Cowboys during the preseason that year. The media attention that accompanied his short time in the league has likely made teams “a little more hesitant” to welcome an openly gay player, says Banner. For their part, the Browns didn’t regard Sam’s sexuality as an issue, according to Banner. 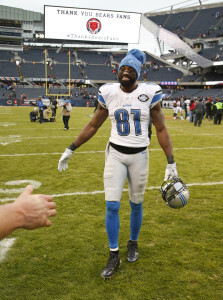 Calvin Johnson said again Saturday he is not coming back to football, and the potential Hall of Fame wide receiver didn’t like the way his relationship with the Lions concluded when he retired in March 2016. Johnson declined to go into specifics regarding this. Birkett points out the Lions attempted to recoup some of Megatron’s signing bonus, reporting Johnson paid $320K — one-tenth of the $3.2MM the Lions could have collected under the CBA — when he retired. The parties agreed to a reduced payment last year, Birkett notes. This retirement unfolded smoother than Barry Sanders‘ did in 1999. The Lions filed a grievance against the Hall of Fame running back, and he paid the team back in installments. Johnson also alluded to a conversation he had with the team regarding the reason he was retiring. Last year, the receiver did say it would have been harder to follow through with the early-retirement plan if the Lions were in a better position to compete. But he maintained this NFL exit centered around his health. Mike Zimmer underwent an eighth right eye operation this week, Matt Vensel of the Minneapolis Star Tribune reports. All of these procedures have occurred since November of last year. The fourth-year Vikings coach said he’s unsure if this will be the last one. Zimmer missed Week 13 of last season due to eye troubles and acknowledges he will experience vision problems in his left eye at some point. Zimmer said the franchise carefully took Michael Floyd‘s off-the-field history into account before signing him. “We always try to weigh every situation, but you know he’s from here. I think he has a good support system with Harrison Smith and Kyle Rudolph partly,’’ Zimmer said (via Chris Tomasson of the St. Paul Pioneer Press) of two former Floyd Notre Dame teammates. “So a lot of those things were factored in and entered into it.” A Floyd arrest for a super extreme DUI led to the Cardinals releasing him last season. The Redskins don’t plan to move one of their outside linebackers to defensive end before training camp. The team drafted Ryan Anderson to join a stable of outside ‘backers that includes Ryan Kerrigan, Trent Murphy, Preston Smith and Junior Galette. But none will be tried at 3-4 end, John Keim of ESPN.com reports. Washington may have a crowd here, but it’s not full of reliable players. Murphy will serve a four-game suspension, and Galette hasn’t played since 2014. Free agents Stacy McGee and Terrell McClain preceded Jonathan Allen‘s arrival in what will be a new-look defensive end corps. Washington lost Chris Baker and cut Ricky Jean-Francois this offseason.